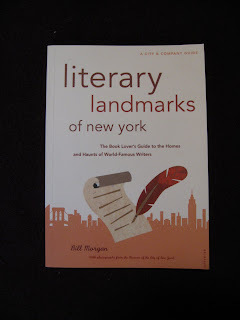 I picked this one up at a sale and thought that I ever got myself to New York City, I'd take it along with me and see some of the sights with it; and I mean the literary sights where some of the famous - and not so famous - writers hung out for meals, parties and swapped notes with other writers. Even if you don't get to fly there, it's well worth a read to find your favourite American or New York author and find out exactly what they got up to in their hey-day ... or are still getting up to! This book is a wonderful read and had photographs of the very people us readers and writers are crazy about! So, sink your teeth into this one and follow your favourite party-going writers around the Big Apple. Bill Morgan has had an interest in the Beats that goes back to the early 1970s, when he was attending library school at the University of Pittsburgh. he compiled a bibliography of the works of Lawrence Ferlinghetti, poet and owner of City Lights Books, the famous San Francisco bookstore and one of the most important publishers of the early Beat writers, most notably Allen Ginsberg for his master's degree thesis. After finishing this, Morgan was encouraged by the editors at the University of Pittsburgh Press to pursue this project with a view towards eventual publication. He continued his research, working in close collaboration with Ferlinghetti as his personal bibliographer, and, after a decade of patient research, he published the very thorough and scholarly Lawrence Ferlinghetti: A Comprehensive Bibliography (New York: Garland Publishing, 1982). Morgan had moved to New York City by 1980 where the San Francisco poet referred him to Allen Ginsberg, whose own personal library and archive were among the best sources of information in New York on the Beats. Consultations with the poet grew into an enduring relationship that lasted from the early 1980s until Ginsberg's death in 1997. During the years Morgan served as Ginsberg's archivist and bibliographer, he helped the poet to organize and maintain his ever-increasing library and records. As Ginsberg's bibliographer, Morgan spent fifteen years corresponding with and visiting numerous publishers, editors, scholars and library collections in order to gather sufficient information to document the history of Ginsberg's prodigious output and the worldwide attention it has drawn. The results that have appeared are in a massive and authoritative two-volume bibliography: The Works of Allen Ginsberg, 1941-1994: A Descriptive Bibliography and The Response to Allen Ginsberg, 1926-1994: A Bibliography of Secondary Sources (Westport, Conn.: Greenwood Press, 1995, 1997). Bill Morgan has probably the largest private collections of printed works of and about Ferlinghetti and Ginsberg in private hands. He found it increasingly difficult to maintain these two very large and valuable collections in his New York City apartment, he reluctantly determined to part with them. Knowing that Ferlinghetti was a UNC-Chapel Hill alumnus, he decided in the fall of 2001 to offer his collection of the San Francisco poet to the UNC libraries. Discussions with library officials led to the transfer of the collection to Chapel Hill in December of that year, partly as sale and partly as gift. Pleased with the outcome and aware that the library's interests extended to other authors associated with the Beats, Morgan then offered a similar arrangement for his even more remarkable Allen Ginsberg collection. His proposal was enthusiastically greeted at UNC, and the materials were delivered to the Rare Book Collection in Wilson Library in August 2002. Have you ever wondered what your hidden meanings are exposed through your handwriting? Have you got an anger issue that you are keeping under wraps, well your 'Y' and 'G' may be outing you there. You may be hanging on to your past just by the way you cross your 'T's. And your attitude towards life is all exposed in the way your writing is angled - or not if it's so tight it doesn't have room for it. Do you write to the margins left and right and top to bottom so there's no room for error? Or is your writing more easy on the eye. Everything - well almost everything - may be answered about you and your personality through this nice little book. Peter West is a well-known professional handwriting analyst. He writes columns on graphology for several publications and on the Internet. He has had seven books published on the subject of handwriting analysis. Another book he's written is titled 'The Handwritings Analyst's Toolkit: Character and Personality Revealed Through Graphology'. He also edited 'Patricia Marne's Manual of Graphology' which is hard to find and is known to be out of print; however you can find it online. What a wonderful book to use and have in your kitchen. I have had this one in my kitchen for some time and used it to make Lilly-Pilly Jam a few years ago; very successfully as well! Well, kind of, I accidentally left the seeds in...oops! Otherwise, it was a lovely jam to eat and I can't wait to try out another fruit; this time, I'll take out the seeds! I highly recommend this book to somebody who is a novice when it comes to making jams and preserves. It has clear and precise instructions on what to do and how much of each ingredient to include; without confusing the cook! Hilaire Walden has been involved with cooking and food for decades and she worked development for several major companies in the food industry. She then moved into food and wine writing and was chief editor for Anne Willan; the noted cookbook author and proprieter or a cooking school in France. Hilaire has written dozens of cookbooks and contributes to magazines, newspapers, television and radio on a regular basis. Her most recent books are: 'The Dinner Party Cookbook', 'Sensational Preserves', 'The Moroccan Collection' and 'Mediterranean Cooking'. She makes her home in the secluded, rural countryside of England where preserving is very much part of the culinary tradition. (as taken from the back leaf of the book). This is a lovely book about living around and within your own garden of medicinal and herbal needs. Nerys Purchon is one of Australia's most popular herb and aromatherapy writers and in this book, she shares her vast knowledge and love these plants. She has a lifetime's experience of working with herbs from all over the world and Nerys explains in detail the properties of them in clear and simple language. I bought this book a couple of years ago just before Christmas and thought it was so good, I'd get my brother and his then girlfriend one too. 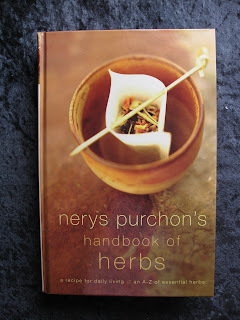 Nerys Purchon was born in North Wales and has learned all she knows about herbs from her Grandmother who used them in recipes and created many of her own. Together, they would collect herbs from the meadows, mountains and riverbanks, returning to the kitchen in the cellar where Nerys was taught to transform them into extracts, ointments, poultices and more. She has a great respect for the herbal tradition which has been bred into her from a young age. Then, her family arrived in Australia in 1968 on St Valentine's Day, which began a love affair with this country and the magic circle began to turn for her once more. They bought a condemned wooden house on eight hectares of neglected land in a small, sheltered valley where kangaroos and cattled grazed and the earth was rich. And this is where they began their own new traditions in a new land. I have found a website for Nerys Purchon, which has got a blogspot.com address attached to it of what she does in her large garden. It's very interesting; however, I couldn't find a bio about her; instead, the blog does show recipes and other books she's written. The last time I had this book, I gave it away to somebody on Bookcrossing.com. And now, I've got it again in hardcover, I think I'll keep it for some of the stories. This wonderful storyteller has had me under his spell since I was around sixteen and no matter how many times I check under the bed or make sure the wardrobe doors are closed, I just can't seem to get enough of this work. And this lot of creepy, weird stories is no exception. 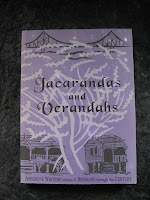 Once I gave away the last copy I had, there was one story I wanted to read from it; isn't that just the way? From 'Graveyard Shift' to 'Trucks' to the very creepy 'Lawnmower Man' (which was later made into a brilliant movie; along with 'Trucks'), these stories will have you keeping on the reading lamp long after you promised yourself that you were going to turn it off - four nights ago! Now, I've written about Stephen King a few times here, so I'll just lead you to his link on the side bar. Search there more and you'll probably find other authors you'll be interested in as well. What a fantastic book! I've had this book on my shelves for years and it's gotten better with age; just like a fine wine. 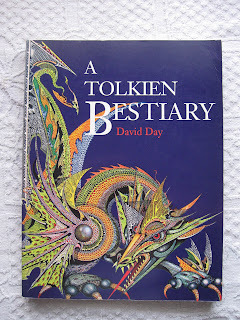 Its drawings are gorgeously detailed and intricate, and the information about the beasts, places and people and races within its covers is just wonderful! I bet David Day didn't plan on this book being anything but a one-off reference guide to a lot of J.R.R. Tolkien's brilliantly invented and well-thought out creatures places. When I got this book and began poring over the pages, I just didn't wish to pull myself away from it and come back to real life. There was so much to it all; and still is so much to Middle Earth, we just have to let it take us in and walk around in it for while. Currently, I'm unable to find any information about David Day on the net and in this book, there's no biography of the author. So, I've contacted the publishers he used in 1995 via e-mail; and hopefully they can help me with a websit and a bio I can put down here for you all. Otherwise, if you have anything that may be of help, please leave a comment so we can all benefit. Thank you. This is a book I've had on my shelves for years; and yet whenever I feel as though things aren't working, I can look it up in here and find exactly where I've gone wrong. This is a modern and comprehensive guide for home or garden in the use of herbs; for beautfy or hygiene, for relaxation or relief from illness. Now, more than ever, people everywhere are turning to the world of plants to find alternative remedies. The various sections included uses in wild food, spices, fragrant herbal baths and an important section on remedieds for adults and children. Unfortunately, I'm unable to find out anything about Barbara Griggs on the net. She doesn't have an official website for me to be able to sent you to and there's nothing in the back or front of this book to say where she's from or her education or her herbal background. 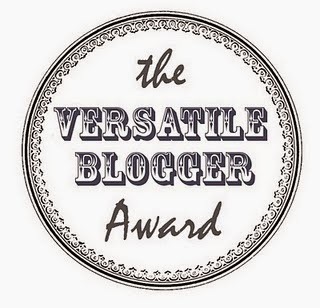 However, if any of you find out a good site that I could put up here for everyone else to be able to have access to, please leave a comment and tell me that url so Barbara's name can join the evergrowing list of authors on the sidebar. Thank you. The second book of Jim Morrison's poetry, lyrics and his Paris journal, this is another must-have for all those who have been following this legendary song-writer's life. I received this book along with the first one ('Wilderness') from a friends in the States; and I haven't parted with them. This one and the first have often given me pause to reflect on exactly what kind of person James Douglas Morrison was when he was alive; as I was born a few years after his untimely death. Jim Morrison's life was varied and full - even though he lived to be only 27 years of age and died in Paris. 'The Doors' were his band and there was a lot of history between the guys he worked with. Danny Sugarman wrote a book called 'The Doors - Illustrated' and I have found this large book full of information, photographs, interviews and chronologically informative from beginning to the end of one of the most interesting lives I've ever come across. A lot of song-writers have poetry books, however, Jim Morrison's poetry will live on forever; just like his legendary voice and music with 'The Doors'. Jack and Annie are in the writing industry and have met up for the first time on a blind date; organised by a mutual friend. For a good part of the afternoon, they talk about their lives and Jack finds that Annie has been through a rough divorce. So, he decides it'd be fun to rewrite her memories via e-mail and help her recover and win her heart while doing it. However, there's something else in her past she hasn't told Jack; and Annie's terrified that if he knew he'd dump her in a minute. It's the reason she's not a hot shot journalist or famous writer and is only a book agent; even for the most pickiest of authors. When Jack's newspaper does an article on plagiarism, her name shows up on the list to be interviewed and one of Jack's employees tracks her down. Will her secret be out and destroy their relationship? Or will Jack's old flame from an old affair throw a spanner of a different kind into the works? John Jaffe is a pseudonym - a mixture of two names - John Mauncie and Jody Jaffe. They co-authored this book and another one as well. However this very book ('Thief of Words') was the prequel of their relationship and marriage. What a storyline for a book. Their most recent book is titled: 'Shenandoah Summer' which came out in October 2007. Jack Sawyer and his mother have arrived at a closed-down, sleepy seaside town where it seems everything is hibernating or hiding. While Lily Cavanaugh - known as 'the queen of two decades' worth of B-movies - drinks herself slowly to death in a dive of a hotel room, Jack is left to wander around the remnants of the old carnival where he meets Speedy Parker. Speedy tells him of another world where Jack is needed to search for the Talisman to help his mother. The other world is called 'The Territories' where violence, surprise and titantic struggles between good and evil will reach across the mythical landscapes. Jack begins to find himself in The Territories more and more; but will he arrive back in time to save his mother with the Talisman? Peter Straub was born in Milwaukee, Wisconsin on 2 March, 1943, the first of three sons of a salesman and a nurse. Neither of his parents wanted him to become a writer; instead they wished him to be either an athlete or a minister. All Peter wanted to do was read. By the time he had reached the first year of primary school, he could read as he had memorised his comic books and told the neighbourhood kids the stories from his front steps. His first grade was interrupted as Peter was involved in a major car accident where he spent most of this year in a wheelchair after many broken bones and surgical operations. However, once back on his feet, he acquired a severe stutter and this haunted him until his early 20's. 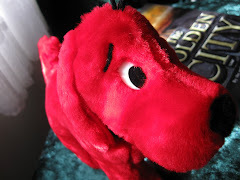 Because he had learnt at a young age that the world was dangerous, he had become jumpy and restless and physically uncomfortable and - until he began writing horror - prone to nightmares. He read more than ever and found that books took him out of himself. As if scripted, the rest of his life followed. He got a scholarship to Milwaulkee Country Day School and was the darling of his English teachers. He discovered Jack Kerouac and Jazz music and the alto saxophone player, Paul Desmond. He went to the University of Wisconcin and emerged in 1965 with an honors degree in English; then an MA in Columbia a year later. Peter has become the writer we know and love today through his hard work and dedication to writing. A link to his website is on the sidebar. I just can't put everything from his bio here as there's so much info. This is one of the first books that I read so much that the pages began to come out of it; yep it was a favourite. One of many. Charlie Bucket and his family are poor. Very poor. All his grandparents share one bed, his mother works all the time and he's going to a public school. 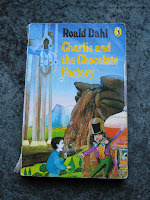 On the way to and from school, Charlie walks past Willy Wonka's Chocolate factory every day where nobody ever enters and nobody ever leaves; the gates are always closed, yet the factory puts out thousands and thousands of tonnes of chocolate products a year to be shipped all over the world. Then, one day, the best thing happened. Mr. Willy Wonka makes an offer for five children to take a day tour of his factory; and Charlie Bucket finds one of the Golden Tickets. It's a chance in a lifetime for him to see beyond those gates and into the mystery of the Wonka Chocolate factory. However, is there more to it than just what Mr. Willy Wonka has offered? Born in Llandaff, Wales, Roald Dahl was the only son of a second marriage to Norweigian parents; otherwise, he had three other siblings after his sister and his father passed away when he was three. In 1942, Roald wrote a piece while he was in Washington D.C. for C.S. Forester. Roald chose to write about his experiences with the war, and Forester published the article without changing a word; and so Roald's writing career started.For the first fifteen years, Roald concentrated on writing for adults. Roald Dahl would take months to finish a single story or plotline for a book as he found that he must make more than one copy of his work finding that he never got the story right the first time. He also couldn't type and didn't own a typewriter; and so he'd write all his work out in pen and paper. Roald Dahl had many passions and made time for them, however, his life was filled with tragedy; including his own personal wars. Later in life, in 1990, he was diagnosed with a rare blood condition (Myelo-dysplastic anaemia). He passed away at the age of 74 on November 23rd, 1990; and he worked right up until his death. If you've ever wished upon a star when you were a child for the impossible, this is the book for you. Margaret Barnstable is a little girl who does just that; and her wish is to have a ship named after her, to sail for a day alone upon the sea with some nice company on board with her. The next morning, she awakens to her wish come true. 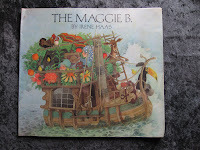 She's upon the 'Maggie B' along with her little brother, an upper deck full of animals, vegetables and fruit trees and the day to herself. This story takes the reader along for the day and into the afternoon where a storm interrupts her freedom just a little. But will it last forever? Well, we'll just have to wait and see. This book first came out in hard cover in 1975 and was reprinted in paperback soon after. It's now out of print and very collectable. If you have got a copy, it's worth between $36.00 and $85.00 Aust. with most of the copies located in the United States (I found these stats on http://www.bookfound.com/). There isn't much information about this author online; I can't even find a current photograph of her. However, I am on the lookout for a website for her - an official one - so you can all see which of her books are coming out next; as she's still writing and putting out good quality books for children. Over my time as an avid reader, I've loved the city I was born in; Brisbane. And this book is all about this gorgeous 'River City' from early in the 20th Century through the decades of change and developement. The colour and beauty that resonates within each story is vibrant and full of life. The book kicks off at the beginning of the last Century with wonderful black and white photographs (with the curtasy of The Courier Mail newspaper and Brisbane City Council). Each story - even though they are fictional - really takes you to the heart of how Brisbane City came to be one of the most liveable cities in the world. People are still writing about this city and how they feel about it; which goes to show that it really does have a certain something that pulls at the heartstrings of each person who lives here or visits Brisbane. The Ashgrove Writers' is a dedicated group of inner-Brisbane writers from all age groups. It's said that their group was a ' happy accident that doesn't happen often enough'. And getting this book together was tough in itself; but there were fun parts as well. I'm currently tracking down a website you can look at further; otherwise the Queensland Writer's Centre may be able to help you with any enquiries. From the same author who gave us 'Chocolat', this book is a collection of wonderfully written short stories that pull you into their world and holds you captive the whole time from the beginning hook to the last gasp of a sentence to the full stop. In her forward she says: 'a good short story can startle, ignite and illuminate... giving you vivid, anarchic glimpses into different worlds, different people.' And here, she has proven her point. I completely enjoyed every story in this little green book; however I can't just pinpoint one story to recommend reading as they're all brilliantly written. Born in Barnsley in 1964, of a French mother and an English father. Joanne Harris studied Modern and Mediaeval Languages at St Catharine’s College, Cambridge and was a teacher for fifteen years. During this time, she published three novels; The Evil Seed (1989), Sleep, Pale Sister (1993) and Chocolat (1999), which was made into an Oscar-nominated film starring Juliette Binoche and Johnny Depp. Joanne has published seven more novels since then, as well as 'Jigs & Reels'. Her novels are now published in over forty countries and have won a number of British and international awards. Robert Neville lives from day to day trapped in his house. He spends the nights sleeping lightly, making sure the doors are all locked and that garlic is strung around all the windows and doors. If the days are cloudy enough, he doesn't venture outside either as they'll be out there. It's the strong sunlight that really gets them; but he'll work out a way to find more people like him - more humans, not vampires - and start over the human race. Robert is the sole survivor of a pandemic where the symptoms resemble vampirism. One day, during his routine of hunting for supplies, he meets Ruth; a seemingly uninfected woman and takes her in. However, one night he wakes to find her gone and that she left a note confirming his worse fears. As well as this story, this book has a collection of other shorter stories in it that are guaranteed to make the hairs on your neck stand up and make it hard to get to sleep. Yep, this is Stephen King country. For all fans of horror, you'll love this one. Richard Matheson is the New York Times bestselling author of I Am Legend, Hell House, Somewhere in Time, The Incredible Shrinking Man, A Stir of Echoes, The Beardless Warriors, The Path, Seven Steps to Midnight, Now You See It . . . , and What Dreams May Come. A Grand Master of Horror and past winner of the Bram Stoker Award for Lifetime Achievement, he has also won the Edgar, the Hugo, the Spur, and the Writer's Guild awards. He lives in Calabasas, California. I received this book from a penpal in the States years ago and have read parts of it over the years when I felt like grabbing some inspirational ideas to start off to start off my own work. This first book of Jim Morrison's works covers poetry between 1966 - 1970, places he's been, The Village Tapes and an index of first lines to poems. It's impressively written in his style with hand-written work across the page from typed-up material of the same poem (I think the publisher just wanted to show what his handwriting looked like) and photographs of the Lizard King himself. Born 8th, December, 1943, Jim Morrison took on the Bohemian lifestyle and lived and slept where he could while attending UCLA as he was literally homeless. Jim was a voracious reader of books, he started a rock band with fellow student Ray Manzarek after he graduated they dubbed 'The Doors'. Their rock'n'roll music took on the world with their songs topping the charts. His lifestyle leaned on mysticism while engaging in drugs, alcohol and bizarre behavior leading to many legal confrontations with the law. However, Jim Morrison's health was in decline by his early 20's; so he took off to Paris with his long-time girlfriend. Jim Morrison (The Lizard King) died in Paris, France, on 3rd, July 1971 from a drug overdose and is now buried in the Famous Le Pere Lachaise Cemetery in eastern Paris; where it stood without a headstone for many years until the Paris government placed one there. It has been vandalised and been replaced a few times and now has night lighting and night guards with dogs present all the time. From what I've read on other sites about it, Jim's grave will soon be moved from its present site but I'm not sure where. While walking along a popular hiking path in a national forest one weekend with her recently divorced mother and her bickering brother, Trisha McFarland decided to veer off and get away from them for a moment. She didn't think that she'd get lost; however in her panic to get back onto the path unnoticed, she finds another one that leads to the ungergrowth and further away from where she first began, and her family. At first, it's just the midges and mosquitoes that hang around trying to drink her blood and sweat. Then, the hunger. The only thing that keeps her losing all perspective is the Red Sox baseball games on her Walkman and the performances of her favourite player: Tom Gordon. But when the reception starts to fade, Trisha begins to imagine that Tom is right there with her. And as darkness falls, the girl knows that she's been followed the whole time by something; it keeps just out of her sight... but it's been there since she took the wrong path - waiting patiently for the right time to strike. This is the typical Stephen King book with all the stress and suspence you'd expect; however, it a lot thinner than his traditional ones. I love it and will most definitely read it again; as it's been a while. Scroll down a bit and you'll find a link to his bio on his official website; along with other authors that I've included there from this blog. If you've ever wondered how a sci-fi fantasy writer gets their information correct and along with the right swords, chores for the people inside a castle and military ranking correct, they're most probably in possession of this book - or something very similar. I bought this book with a gift card at the American Bookstore in Brisbane City; and before I even set foot in the place, I knew exactly which book I wanted from there. This book has become the most valued out of my non-fiction collection and so whenever I need it for my fantasy writing, I grab it off the shelf immediately before I run out the door with my notebook because I know I'll be needing it for one thing or another. If you're a writer of sci-fi fantasy then you need this book in your shelves. Writer's Digest has chronicled the culture of the modern writer and they have continued this great tradition through relevant first-person essays, interviews with bestselling authors and profiles with emerging talent since 1920. This magazine has been putting out books to assist writers for some time; and this book is one of only a few that I have in my possession. What a book! I bought this one while wandering around Toowoomba two years ago. It cost me less than I thought it would but it's not going anywhere! I love it; yet it's only Volume 1. There's a little over 600 pages of fantastic author's works in this book from Edgar Allan Poe, Rudyard Kipling, Herman Melville, William Faulkner, Roald Dahl and H.P. Lovecraft. Also, there are authors I didn't know in this rather hefty, olive drab book. However, I didn't read all the stories at once. I find this kind of book is to dipped into like a box of expensive chocolates. I read a few stories when I bought it and put it back on the shelf. Soon, it will be time to dip into this particular box of chocolates again to read another few authors. 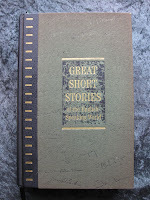 Reader's Digest have been around since 22nd, February 1922, and this famous company has been churning out brilliant condensed works to the public for so long that it's not hard to find a Reader's Digest book pretty much anywhere in reasonable condition. Some people collect them and so have massive collections lining their bookcases in their homes; while others will pick and choose which books they wish to have. Reader's Digest is still popular today as they are still publishing their condensed books; so they must be doing something right! Reader's Digest Magazine now appears in 50 editions, in 21 languages with more than 100 million readers per month. Faye and her father have been through a lot to end up in Florida running an apartment building full of old people. All she does all day during school holidays is clean up the place; even though she doesn't get paid or asked to. However, she has one rule: Never talk to the oldies. Faye hasn't had it all that easy. With her mother gone and a twisted back that she's really self-conscious about, she goes around wearing a feather-down vest; thus the elderly residents of the apartment building have nicknamed her 'Crow'. Another girl uses the pool she cleans up around to train named Marcia and whenever Faye sees her, she's envious of her beauty. But there's change in the wind when a hot young guy comes to stay over the Summer from New York. Is it good change or bad? Faye finds that she even changes as she get to know who her real friends turn out to be and that change can be good for her after all... or can it? Merrill Joan Gerber began writing stories and essays when she was seven years old, and her first published piece of work, a poem, appeared in The Writer when she was eighteen. She began selling stories to magazines such as the New Yorker and Redbook. 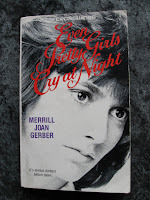 Over the course of her career, Gerber published more short stories in Redbook than any other contributor to that magazine. However, her publication record has not always won her recognition.